Being Harvestmen, they're arachnids richly endowed with legs. Legs galore. Legs eternal. Legs of never-ending leggishness. This particular individual was spotted in Ecuador and it belongs to a mostly South American family called Cosmetidae. The family gets its name from the Greek for 'ornate'. In this case, those ornaments are bunny ears. Yaaaay! 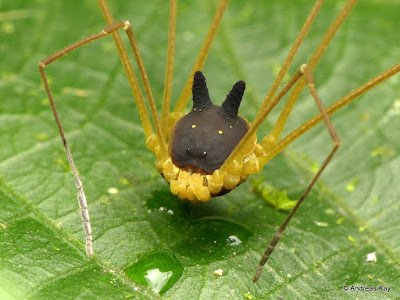 One member of the internet posits the following thoughts in the mind of the Bunny Harvestman: "Yesssss. I isss bunny. 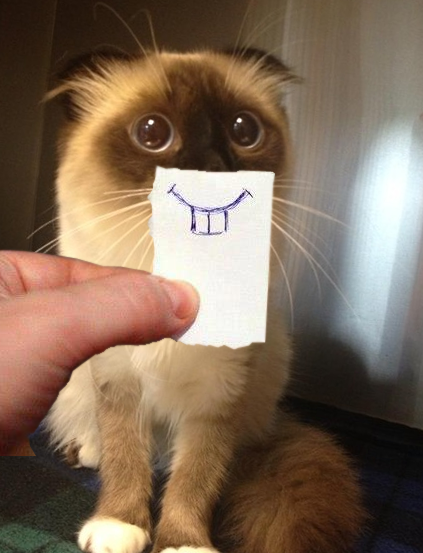 Pleasse to be putting tender finger-meatss near for the petting." Good point. It's always best to be on your guard. But Harvestmen are quite harmless. They don't have fangs or venom and they're often scavengers rather than killers. Besides, just look at those shiny, little cartoon eyes! Surely, he couldn't hurt a fly? 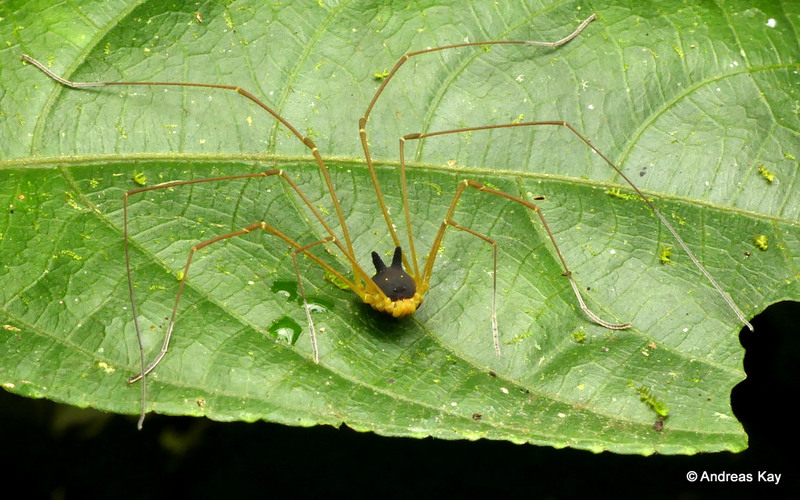 Are there any other subspecies of harvestmen arachnids that are closely related to this one that you enjoy? 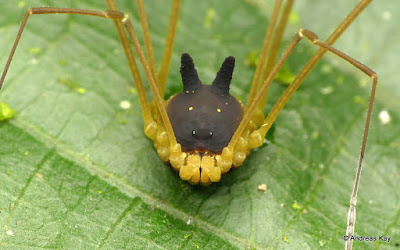 I love spiders and this blog is an amazing resource for me to learn more about them, thank you! I definitely need to do some more Harvestman research. It's a bit of an untapped resource for me! Thank you for your kind words, I'm glad you're getting something out of the blog! Great photos and fun content. This is my new favorite blog! The photos and video are absolutely stunning! He's a beautiful being!